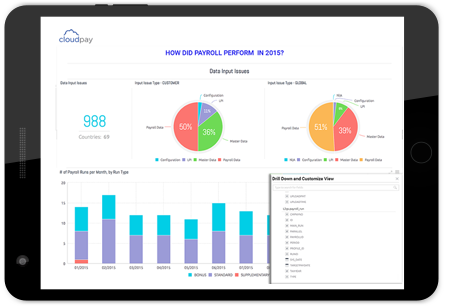 CloudPay built strategic partnerships with a range of HR, benefits, time and attendance, talent, workforce management, system integrators and other technology providers. 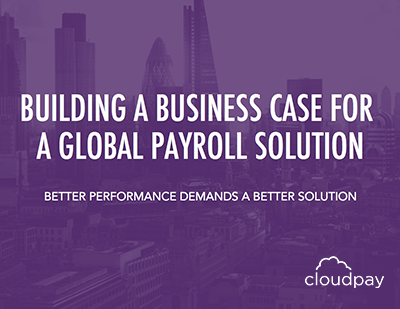 Working closely with our partners allows us to position our customers for success across various functional areas, and seamlessly integrate our payroll solution with other providers. We are showcasing some of our partners below. Contact us to find out whether your software providers partner with us. A provider of enterprise cloud applications, Workday delivers HCM and analytics applications designed for the world’s largest organizations. A cloud HCM Suite, SAP SuccessFactors helps more than 4,450 customers and 40 million subscribers across more than 60 industries. As a leading cloud-based HCM Suite, SAP SuccessFactors helps more than 4,450 customers, and 40 million cloud application subscribers, across more than 60 industries in over 177 countries tap into this heartbeat. Supported by a global partner ecosystem and the experience and commitment of SAP, our solutions are innovative yet delivered according to your specific business needs. Through a balanced focus on both standardization and flexibility, we deliver business process expertise and best practice guidance aligned to our customers’ unique transformation journeys. Aligning business strategy to business outcomes through people is what we focus on day in and day out, what we have been helping our customers do for over 10 years and where we will be focused in the future. We believe Success is Simply Human. A comprehensive HR management system built on the Salesforce App Cloud, designed to meet the needs of global mid-size organization. Sage People (formerly Fairsail) is the global cloud HR and people management system for mid-sized multinationals (200-5000 employees). The system supports the entire employment journey, from people marketing and social recruitment, through the entire acquisition process, to managing people and their performance, developing their skills and abilities, engaging and communicating with the workforce, providing reports, dashboards and analytics, and planning for the future. Built on Salesforce App Cloud, the world’s leading enterprise cloud platform, the system connects organizations to their people in a whole new way.  OneSource Virtual provides global workforce administration services that plug into your Workday application. Founded in 2008, OneSource Virtual is a pioneer of Business Process as a Service (BPaaS) and supports the automated delivery of solutions exclusively for Workday. OneSource Virtual’s services empower organizations of all sizes by encouraging HR and Finance to become a strategic partner within the organization, aligning to business growth and scaling by demand through Workday deployment, consulting, training, and in-application payroll administration, benefit administration and application management services. OneSource Virtual is headquartered in Irving, Texas, with processing centers in Mesa, Ariz., and Derry, Northern Ireland. Real-time visibility into your workforce with automated employee time tracking for all locations in a single, cloud-based platform. EmpCenter is the cloud-based workforce management solution that can be tailored to specific business needs and adapt to any region-specific regulations, as well as support multiple languages and currencies. EmpCenter® Time and Attendance software captures detailed labor data and automates even the most complex pay rules for your diverse workforce—hourly, salaried or contingent. Ramco HCM is a global HR & talent management solution that covers your organization’s human capital management needs from hire to retire. Ramco Systems is part of the USD 1 Billion diversified conglomerate, the Ramco Group of companies. Started as an R&D division of Ramco Industries Limited in 1992, Ramco Systems was later established as an independent company in 1999. Headquartered in Chennai, the company has 21 offices spread across India, USA, Canada, Europe, Australia, Middle East, South Africa and APAC. The company focuses on providing innovative business solutions that can be delivered quickly and cost-effectively in complex environments. Ramco is a fast growing enterprise software player disrupting the market with its multi-tenanted cloud and mobile-based enterprise software in the area such as HCM, Payroll and ERP. SaaShr, Inc. is a leading provider of (SaaS) based workforce management applications with a major focus on Human Resources. Kronos SaaShr, Inc. enables providers of Payroll, Human Resources and other related services to deliver their workforce management applications under a Software as a Service (SaaS) model. Through its private-label, channel-focused approach, service providers are assured that they are a top priority. Leveraging the multi-tenant Kronos SaaS delivery model, their applications are extremely adaptable to virtually any-sized company, within any specific industry. The applications were built from the ground up to be flexible enough to cover almost any business requirements. All of the workforce management applications they develop are part of a core Kronos SaaS delivery platform that has been proven in small to mid-sized businesses across a broad spectrum of industries. Thomsons Online Benefits is the business behind Darwin™, the leading software for global employee benefits administration and engagement. Founded in 2000, Thomsons Online Benefits is the business behind Darwin™, the leading software for global employee benefits administration. Their mission is to use technology to revolutionise the employee benefits market. They are devoted to helping HR and reward professionals to deliver impactful, cost effective benefit schemes, whilst enabling their employees to engage with their benefits, throughout their lives. Thompsons works with the world’s leading employers to maximize the power of Darwin™ in 74 countries and 22 languages. HRsoft is an award-winning talent management software company that specializes in cloud-based SaaS solutions. HRsoft’s TALENTview Management System includes a suite of innovative, configurable cloud-based HR software modules built from the ground up with the manager in mind. TALENTview’s secure and scalable platform allows HR to seamlessly integrate with any HRIS system helping them better leverage existing technology investments while providing best of breed solutions for their managers. CloudPay continues to invest in strategic imperatives with key providers and technologies in the HCM and ERP ecosystem. 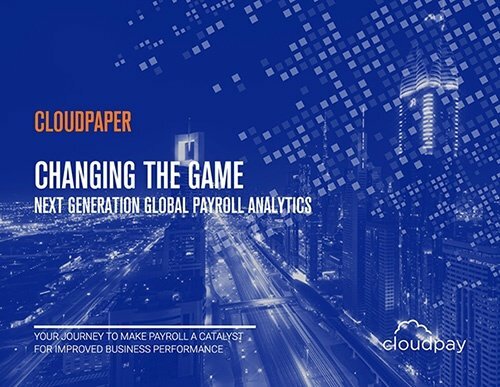 If you are interested in partnering or integrating with CloudPay's Global Payroll Platform please click the link below and a member of our partnerships team will be in touch. Delivering on The Promise of Real-Time Insights for CFOs: Why the Cloud makes life easier for CFOs, their team, and an organization's Boardroom.